This Feb. 15, 2018, file photo shows mourners stand during a candlelight vigil for the victims of the Marjory Stoneman Douglas High School shooting in Parkland, Florida. Parents and relatives of the victims of the Marjory Stoneman Douglas High School shooting formed a nonprofit Thursday to push for policies that could prevent another massacre, NBC News reported. Stand With Parkland will likely back universal background checks, installing metal detectors and armed guards at all schools and raising the minimum age for buying firearms to 21, said April Schentrup, mother of 16-year-old victim Carmen Schentrup. "We know this is a complex issue, but we’ve been dealing with this for nearly 20 years — since Columbine," she said. "This is a discussion that needs to be had." Gun control groups welcomed the effort, but the director of the National Rifle Association's lobbying arm told NBC News in an email that "there are many Parkland students and families [who] want to focus on school safety and reject holding that important goal hostage to the politics of gun control." 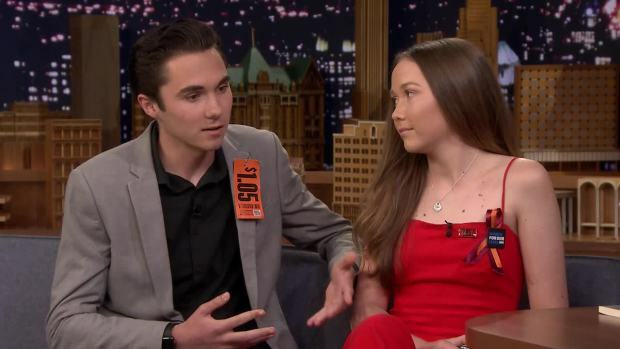 Siblings David and Lauren Hogg recount the deadly shooting at their high school in Parkland, Florida, that inspired their #NeverAgain book and work in the gun control movement.